Whatever your take on the U.S. elections, you’ve got to admire this video, another example of the smartness of the Obama campaign team. Alvaro Colom, in something of an upset, apparently has defeated Otto Pérez Molina in the race for president of Guatemala. Colom had lost his one-time lead and was trailing in most polls. Colom took most departments, although Perez appears to have won Guatemala City, thanks to his anti-crime message. Turn-out was low. 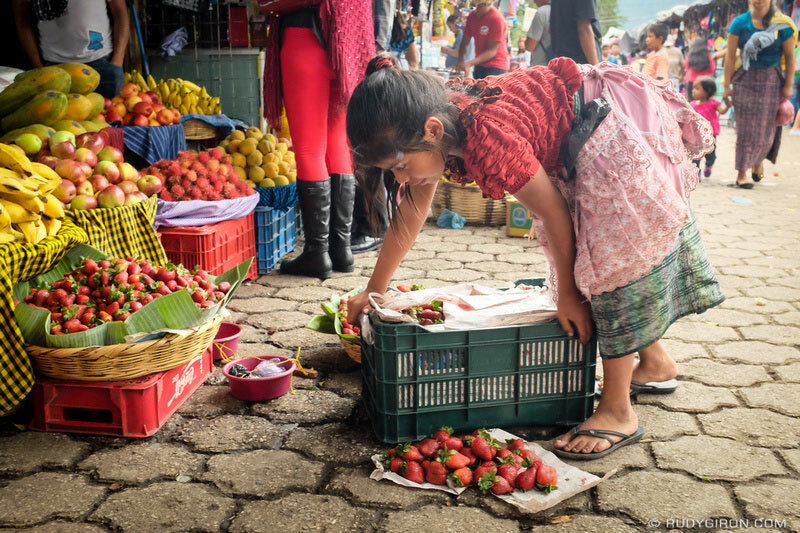 The NYT has a nice slide show of images related to the Maya vote in Guatemala’s elections, and why Rigoberto Menchu didn’t do better (she was sixth out of 14 candidates, with 3 percent of the vote). Rudy at La Antigua Daily Photo is inviting comments on the slide show. To no one’s surprise, no presidential candidate in the Guatemala elections received a majority of the vote. Early reports show Colon at 36 percent and Perez at 29 percent. Menchu received less than 3 percent. The second-round election will take place in November. 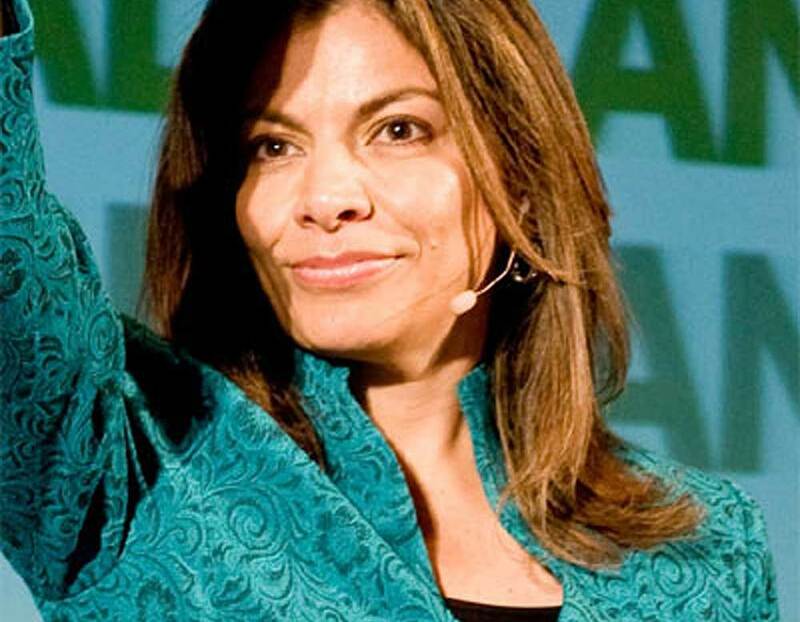 According to Prensa Libre, Perez would win a runoff election against Colom with 52.6 percent of the vote. LINK: Que significa el 3% de Rigoberta? Polls are currently showing a close race with Colom holding a tenuous lead. Perez Molina was the head of military intelligence during Guatemala’s horrible civil war. Colom is a businessman and economist. Rigoberto Menchu does not appear to have mobilized a lot of support. This image is from the websites of the municipalities of San Luis, Poptun, and Dolores in the Peten. 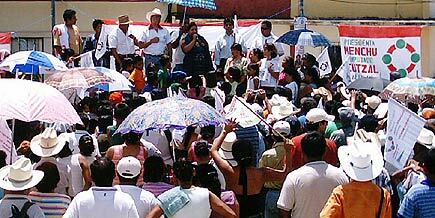 Despite killings and intimation, Rigoberto Menchu continues her campaign for the presidency. Poptun has a population of about 30,000 people. It is the base for Guatemala’s counter-insurgency jungle warfare special operations military elite, the Kaibiles. The name is derived from Kayb’il B’alam (Kaibil Balam), a Maya leader who led opposition to the forces of the Spanish conquistador Pedro de Alvarado and successfully evaded capture. During the civil war the Kaibiles were implicated in the massacre of civilians. Clara Luz López, a candidate for the Casillas City Council in the Encounter for Guatemala party of Rigoberta Menchú, was shot and killed Monday on her way home from a day of campaigning. “This is a clear message for our candidates and for us,” Menchu said. This election has been the bloodiest since the end of the civil war, with at least forty people killed. Why is this getting so little press coverage outside Guatemala? 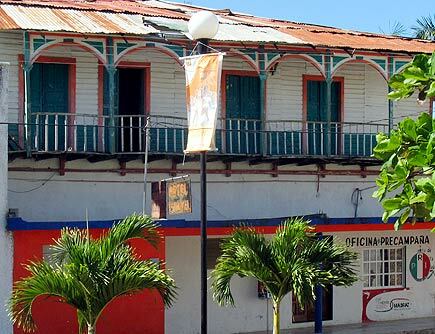 This charmingly saggy balcony sits across from the Balam Na in Filipe Carrillo Puerto. This is quite near the spring that gave birth to the Talking Cross and was the fount of one of the longest-lasting revolutions ever. The eye of Hurricane Dean passed about 60 miles south of here, but the bulk of the news reporting has focused on the sparing of the tourist hotels at Cancun. This year’s presidential elections are the deadliest since the 1980s. Frontrunner Alvaro Colom has called his chief opponent, Otto Perez Molina, an idiot. Perez Molina has called Colom a thief. Meanwhile, “the electorate is tremendously skeptical.” And people keep dying. 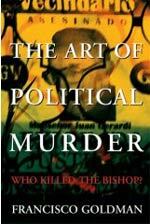 Francisco Goldman is releasing a book that implicates general Perez Molina in the murder of Bishop Juan Jose Gerard, a human rights activist.